It is great to see everybody and I want to wish you all a Shanah Tovah—a good year of health, of personal wealth, of emotional wellbeing and above all peace, both within our nation that seems so deeply divided and throughout the world, especially in Israel. Ervin Birnbaum is a man with a story. Ervin survived the Shoah in Hungary, and after the war, led a youth group to Palestine on that famed ship, the Exodus. Once he got there, he soon left to join his parents in America, enrolled in the Jewish Theological Seminary and became a Conservative rabbi in 1958. In the early 70's, he and his wife Hadassah made aliyah with their three sons and Ervin did important work in a program for youth from the United States, and later with Russian immigrants. One of his sons, Daniel, went to Harvard for an MBA, got a job with Pillsbury, and then became the CEO of Pillsbury Israel. He moved on to Nike Israel and transformed its product into one of the most popular sporting goods brands in the holy land. Then in 2007, a unique opportunity presented itself to him. He became the CEO of a lackluster company known as SodaStream. SodaStream was a company that put the fiz into a bottle of two cents plain. Danny was intent on reinventing SodaStream into something big, and this he did. SodaStream became a publicly traded company on the NASDAQ in November of 2010. In less than a year's time, its market capitalization went from $367 million to $1.46 billion. Last month, PepsiCo purchased SodaStream for $3.2 billion dollars. What makes this story even more compelling is that SodaStream has been the target of the BDS Movement. BDS, you know, stands for “Boycott, Divest and Sanction” and is the movement to undercut Israel financially because of the ongoing Israeli-Palestinian conflict, of which Israel is viewed as the principal, if not the sole culprit. One of BDS's charges against SodaStream was that it was exploiting Palestinians as one of its plants was located on the West Bank. It was a curious argument since the West Bank sports an unemployment rate of close to 30%. So depending on one's point of view, one could either argue that a factory on the West Bank is exploiting a territory for its cheap labor, or conversely, providing jobs for people who would otherwise be unemployed. However one chooses to read what SodaStream has done, the fact is that the PepsiCo purchase is a dramatic setback for the BDS movement. BDS does not want multi-billion dollar companies to see Israel as a land of promise, but a land of poison, and Pepsico didn't buy it. Benji Lovitt is a nice Jewish boy from Texas who now makes his living in stand-up comedy. He talks about how unique Israelis are. Go on a tour of Israel and after a few days, an Israeli will say to you, “Nu, how do you like our land?” You'll say something like “It's beautiful,” after which the Israeli will say—“So why don't you move here!” This doesn't happen in Italy or Argentina. You don't visit Ireland, tell one of the locals that you think the country is beautiful only to have an Irish citizen say—"So why don't you move here!” In Israel, that's what you get. So Benji Lovitt moved to Israel, he decided to make aliyah, he meets the same Israelis with whom he met while a tourist, they hear he's made aliyah and say—“You moved to Israel? Are you kidding?” Lovitt says, “You told me to move here—the beaches, the people, we are family,” to which they respond, “We were joking!” Lovitt says—I don't want to speak to you anymore. Where's your friend who also told me to move to Israel? The Israeli says—Shmulik? He moved to Teaneck. If you want to make aliyah, and you want to access the Hok HaShevut, the Law of Return, the law that permits you to become a citizen within short order as you are a Jew returning to your homeland, you need some Jewish authority to vouch for your Jewishness. I do these letters of confirmation from time to time but not very often, maybe one every two or three years. Yet in the past year, maybe during the past 13 or 14 months, I have composed three letters of confirmation vouching for someone's Jewishness. These were all young people in their 20's, and all became Bar or Bat Mitzvah at Midway. They were not going to Israel because they were die-hard Zionists who were realizing their greatest dream. One was going to medical school and the other two were going for employment in start-up companies in Tel Aviv. They were going to Israel essentially for professional reasons. It's a place where you can get a world-class education and make a living. I was sitting with a young couple recently, soon to be married, somehow we got on the topic of Israel and it turned out the groom had never been to Israel. I said, O—you have to go. He said—I am, next week. I said, O great—what tour? He said, Not a tour. It's business. I want to tell you these stories because these are the stories that are not necessarily featured in the papers. The stories that we hear are stories of young Americans, many who are Jewish, who are disaffected with Israel. They are sick of Israel's alleged guilt in the Israeli-Palestinian conflict, they are angered by the belligerence and conservatism of the Netanyahu government, and they may also be disheartened with the government's dismissiveness toward North American Jewry. These people, whether young or older, are not necessarily without legitimate complaints. Within the past few years, North American Jewry dealt with an Israeli government that at first promised and then reneged on that promise to build a plaza next to the Western Wall where liberal Jews could gather in prayer, men and women together. 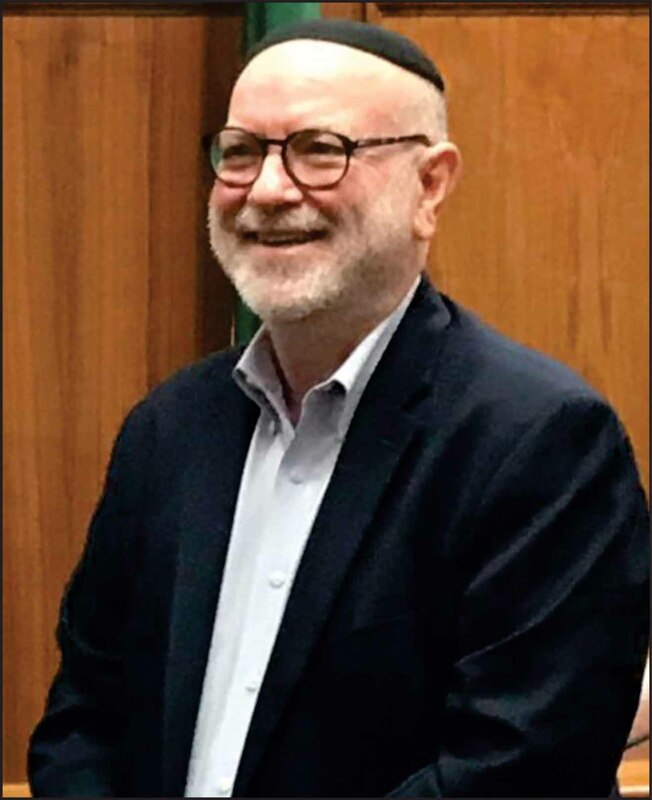 Then in July of this year, the Haifa police arrested a Conservative /Masorti rabbi, Rabbi Dov Haiyun—a good, decent man—claiming he officiated at the wedding of a mamzeret or a woman born of an illegitimate relationship. And then the Knesset passed a “Nation-State Bill” that on the face of it, seemed to trumpet Jewish values at the expense of democratic values. The bill prompted Ron Lauder, the cosmetics billionaire, president of the World Jewish Congress to write: “This is not who we are, and this is not who we wish to be. This is not the face we want to show our children, grandchildren and the family of nations,” (August 13, 2018, The New York Times, Ronald S Lauder). We've been dreaming and it has been a very sweet dream. The early Zionists wanted to reclaim Jewish nationhood and become, as they put it, k'khol hagoyim, like all the other nations in the world. And today, Israel is like all the other nations of the world in one blatant feature: like all the other nations of the world, it's got a lot of problems. If we never wanted to encounter these problems, we should never have worked as hard as we did for a Jewish state, and that was a position taken by a prophet with whom we make a special acquaintance over Rosh Hashanah. Today's/Yesterday's haftarah tells the tale of Hannah and circumstances surrounding the birth of her only child, Samuel. Samuel grew up to be one of the great prophets of Israel and he served as a transitional figure between an Israelite nation ruled by temporary chieftains who gained currency as the need arose, and a more stable governmental structure, namely a monarchy. Samuel was anti-monarchy. He figured God is ruler enough and there is no need for a king of flesh and blood. So he sets himself the task of convincing the people to forget this crazy idea. He lists all the reasons they shouldn't have a king: the king will draft your kids into a military; he will demand that you plow, seed and harvest his fields; he will co-opt your vineyards and olive groves and give them to whom he pleases; he will take your daughters as perfumers, cooks and bakers, etc. The description of what a king does was pretty damning, but the people responded, “We must have a king over us that we may be [k'khol hagoyim], like all the other nations,” (I Samuel 8:19-20). And when Samuel consulted with God on the matter, God agrees with the people. Give them a king. And that is how the first king of Israel, Saul, ascends the throne of power, amid a maelstrom of negative expectations. As it turned out, Saul proved to be an unstable figure in Israelite history. And when we study the Bible and examine the history of all the other kings of Israel and Judah, what we find is that more disappointed than delighted their subjects. Government was a very challenging enterprise back then, and it remains so even today. The liberal Jewish world was deeply offended when the government of Israel reneged on its promise to build that wonderful plaza where egalitarian Jews like you and me could gather and pray as we wish. But if you talk to the average Izzy or Malkah on Dizengoff Street in Tel Aviv, they're going to say something like, “Who cares about the Kotel! What are you getting yourselves crazy about!” If you want to pray, go to a nice shul in Jerusalem, Tel Aviv, forget about the Wall! In other words, this is not their issue. It's ours and we are not Israelis who pay taxes and vote for representation in the Knesset. If it seems as if Israel in general is dismissive of liberal Jews and liberal Judaism, the fact is that the news coming out of North America about our success here is none too flattering. And as for our successes in Israel, those too have been somewhat tepid. It's easy to blame Israel as the impediment to our success, but we have not done a good job or promoting who we are and what we stand for. Until we reconsider both our product and our marketing, I don't think things are going to improve much. And as far as I can see, there is little effort in reconsidering the product or the marketing. I tend not to blame Israel about these issues because they have bigger fish to fry than catering to our religious sensitivities. As we are screaming about davening, they are trying to maintain the security of their citizens in a hostile neighborhood. And to make matters worse, demonstrators and whole nations regard these security measures as immoral or unethical. The Israelis are portrayed as the oppressors, the overlords, the bad guys in a story that has been reduced to the good guys versus the bad guys. Look—I too wish for a day when the Palestinians can enjoy full autonomy in their own land, living peacefully side by side with Israel. All these military actions, on both sides, are a waste of time, a waste of resources, and in its most egregious incarnation, a tragic waste of human life. Wouldn't it be better to have a nation at your side with whom you can trade, address common challenges, and share in academic, technological and cultural collaborations? On the other hand, there is the other hand. You may not have been paying attention over the past 30 or 40 years, but our nation has become a nation of thousands of laws and cultural expectations, all designed to protect and promote human life. Many of us grew up at a time when wearing a seat belt was an option—not any more. You could buy a bottle of wine without the surgeon general warning you about alcohol's link to birth defects, so pregnant women beware. Don't smoke, don't inhale secondary smoke, don't build a building without a sprinkler system, don't talk on the cell phone while driving, don't eat too much red meat, be sure the baby's clothing is fire-retardant, throw out the crib you slept in and played in because it no longer meets industry safety standards, and don't carry any liquid in your carry-on greater than 3.4 ounces. Our pre-school, certified by the State of New York, follows hundreds of rules in order to maintain certification. We had a tortoise in the school. It was a cute little tortoise. I thought it was great for the kids to have a living animal in the classroom. The state said the tortoise had to go—the risk of salmonella violated state standards. As we learn what it takes to live long, in good health, and in safety, the rules stack up like a pile of leaves in autumn. Contrast all this with American demonstrators, Jewish and non-Jewish, demanding that Israel unilaterally withdraw from the West Bank. Then what? Allow for a Palestinian nation to evolve under the control of Hamas that explicitly and without shame calls for the total destruction of the Jewish state and Jews as well? For Israeli politicians to turn a blind eye to what the Palestinian leadership stands for would be either naïve or crazy. All it would take is one terrorist action—one blown up bus, one murdered child—before the Israeli body politic would be at the government's throat. Western governments, Israel no less than America, are held accountable for their misdeeds, miscalculations, and misjudgments. Americans who have created for themselves a super safe society telling Israelis to loosen up with an enemy sworn to its destruction is an irony of extraordinary magnitude and profound hypocrisy. There was an old joke, more popular during Israel's early days, about Moses' bad sense of direction. It had something to do with Moses leading the people of Israel up from Egypt to the Promised land, and when he eventually got to the Jordan River, if he had only turned right instead of left, we would have gotten the oil and everyone else could have dealt with the barren Judean desert and the hot and dusty Negev, where little if anything grows. It turns out, Moses just may have known what he was doing. One of the ways to measure a country's economic health is by taking the total domestic product of a nation—all of the goods and services that it produces in a single fiscal year—and then divide it by the number of people in the country. You may know this formula as per capita (meaning per person) GDP or Gross Domestic Product. It's a useful tool for comparing the wealth of nations. (Using statistics by the International Monetary Fund for 2017), The United State has a per capita GDP of $60,000. We don't have the highest per capita GDP in the world. We might be better off in Switzerland where the per capita GDP is $81,000. How about Israel's per capita GDP. It's not as high as the United States. Per capita GDP is $40,000. Now here's the clincher. Israel has this per capita GDP without a drop of oil. But what about the oil rich nations like Kuwait--$27,000 per capita GDP. Saudi Arabia per capita GDP--$21,000. Iran and Iraq per capita GDP: $5000 each. Israel has outstripped its neighbors and continues to grow precisely because it could not depend on oil but had to come up with other ways of thriving, and they did so with one of their greatest national resources: their brains. You may remember that old joke about God deciding to end this world by bringing on another devastating world-wide flood. What happens? The Italians go out to have their last drinks of the best wines to be found in Rome. The French go out for their last dinners in the best restaurants in Paris. The Israelis try to figure out how to live under water. Like-A-Fish is an Israeli company that has created a unique system for extracting oxygen from water in order to free professional and leisure scuba divers from wearing air tanks. And though I do not usually point to the Bible and say—Ya see, ya see…--It's all true what is written here. The fact of the matter is that the descendants of Abraham are bringing blessings to the world. The only people who would dare to cripple an enterprise so innovative and so transformative in people's lives, would have to be short-sighted, anti-humanitarian, and misanthropic. When Pepsico decided to purchase SodaStream for 3.2 billion dollars, there was a news conference. Danny Birnbaum, as Soda Stream's CEO, was naturally there. So what should an Israeli CEO do at such a news conference? Naturally, you introduce your parents, and you tell their story, a Conservative Jewish story, which begins in the Shoah of Hungary and whose latest chapter finds them standing next to their son, one of the most successful businessmen in Israel. I found it very moving that this was the course Danny decided to take because it was a little morality lecture on how no one should be blinded by their history. Even at the point of death, once can rise from the ashes of the Shoah and eventually become CEO of an international, multi-billion dollar business. I don't think God created the well. The well was there, but Hagar has to open her eyes to see that life was not over. And now someone from the Palestinian side has got to realize that a gold mine has dropped into their neighborhood. Its called Israel. You don't try to destroy a gold mine. You make peace with the owners and do business with them—with Israel. The potential for a wealthy, secure, and peaceful Palestine are tremendous if only someone from the Palestinian side is courageous enough to open their eyes, to see this situation for what it could be and move others to see the same vision! With all the tzuris, with all the norishkeit (arresting a Conservative rabbi? ), with all the violence, in spite of it all, this little country is doing great things. I am optimistic about the future of Israel. And what Israelis are going to increasingly find, contrary to what you may be reading in the papers, is that when they go up to a young tourist in Jerusalem and say, “Nu—what do you think of our country?” And the young tourist says, as they invariably do, “I think it's wonderful.” And then the Israeli says, “So why don't you move here!” They just might find these young people saying—I'm going to. In fact, my firm is establishing a branch in Tel Aviv. Rabbi Levenson is taking the congregation on a trip to Israel this December. You should really look into it. If you go, I hope you come back, but if you don't, I couldn't blame you.